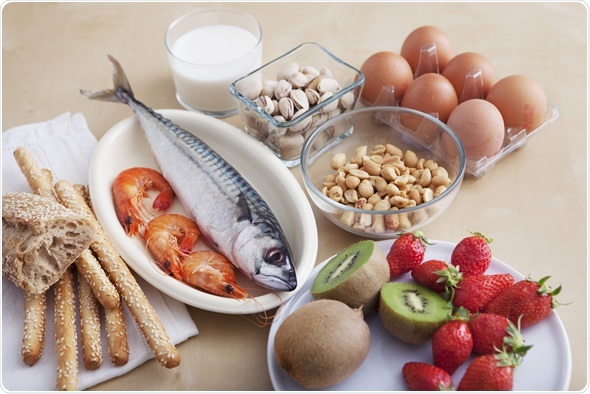 Food allergies are a major public health concern and are increasing worldwide. Globally, it is thought that between 220 and 250 million people suffer from a food allergy. Ninety percent of cases involve sensitivity to one of the 'Big Eight' allergens: egg, fish, milk, peanut, shellfish, soy, tree nuts, or wheat. Legislation requires food labeling to protect this growing number of people who are vulnerable to symptoms ranging from vomiting and asthma to life-threatening anaphylaxis if they consume a particular allergen. However, accurately detecting and quantifying allergens remains a major challenge, and one for which solutions are urgently needed. Most current tests for food allergens are done using enzyme-linked immunosorbent assay, or ELISA. However, these are limited by the fact that they are very specific – they target a single allergen from a single product. They are also susceptible to false-positives and false-negatives and commercial kits are often inconsistent with each other. Therefore, ELISA is unable to provide the standardized approach that is needed if manufacturers are to protect their consumers and authorities are to enforce legislation. Mass spectroscopy (MS) is emerging as the most promising alternative to ELISA in allergen analysis. It benefits from ease-of-preparation, fast results, and the ability to detect more than one allergen at a time. What's more, it can be standardized so that results from one MS analysis can be compared with another. An important advantage of MS over ELISA is that results are based on the amino acid sequence of an allergen, independent of its 3D structure. This is relevant because food allergens can undergo changes during processing, such as heating, that alter their 3D structure. ELISA, which is dependent on 3D structure, can therefore give false-negative or false-positive results under these circumstances. MS, by contrast, when coupled with liquid chromatography (LC), is able to identify such modifications and can detect allergens at trace concentrations. Celiac disease affects around 70m people globally and is the most common food intolerance in western countries. In affected people, the presence of gluten peptides in the small intestine triggers an autoimmune response in the lining of the intestine which ultimately leads to the destruction of the villi lining the tract. This results in malabsorption of food and malnutrition, as well as a range of gastrointestinal symptoms such as diarrhea, abdominal pain and indigestion. The only treatment for celiac disease is a diet free from gluten and products denoted as gluten-free must contain no more than 20ppm gluten, as measured by ELISA. But a drawback of this method is that it cannot adequately quantify gluten that has been hydrolyzed, such as in beer. In a 2014 study, Colgrave et al used LC-multiple reaction monitoring-MS to profile whole beer, and beer fractions representing hydrolyzed hordein (the gluten-containing component of barley) and hordein peptide fragments. This allowed them to quantify the gluten fragments in the beer. Interestingly, Colgrave et al found that products of gluten hydrolysis appeared to suppress ELISA responses. As this occurred in a dose-dependent manner, this meant that beers that contained very high levels of hydrolyzed hordein were effectively masked on ELISA, giving near-zero values. In an earlier study, led by Gregory Tanner (2013), the same team analyzed 60 beers using ELISA and MS. This revealed similar results, with six of such beers reading zero on ELISA but having a near-average hordein content. In this study, the researchers also found that 20% of commercial beers had ELISA readings of less than 1ppm but an average hordein content when studied using MS. The team say these findings highlight the problems of relying on ELISA to determine gluten content in drinks, as well as the need to develop new and more sensitive methods such as MS.
Peanut allergy is one of the most common food allergies and is also the most common cause of fatal anaphylaxis. 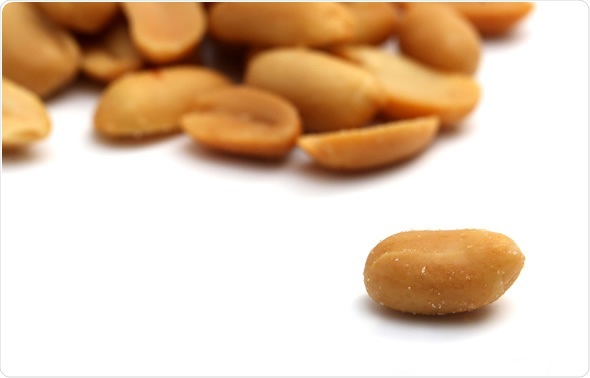 In the United States 1.3% of people are sensitive to peanuts, while the overall rate of food allergy is 2.7%. However, in countries in the east, the rate of peanut allergy is much lower, despite the rate of other allergies being similar. This has led to speculation that the preparation of peanuts could be altering their allergenicity because, in the west, peanuts are primarily eaten dry roasted while, in the east, they are more likely to be boiled, fried, or eaten raw. Products called advanced glycation end products are formed extensively during roasting and it is thought these increase the trigger effect to the immune system and skew it towards allergy. Mueller et al (2013) found evidence for this by using MS to study raw and roasted peanuts. MS gave them detailed atomic information from which they were able to show how AGE modifications affected specific residues within the main peanut allergens. They then found that these modified residues interact with the receptor for AGE that is involved in exaggerated the allergic response. This suggests that these modifications could be involved in enhancing allergic sensitization, the researchers say. This year's Pittcon, the world's largest annual conference and exposition for laboratory science, is being held in Atlanta, Georgia on 6-10th March 2016. The conference will feature an impressive technical program with over 2000 presentations. Included in the program, new research will be presented which explores the use of enzymes intended to detoxify gluten and how their actions can be characterized using antibody-based and MS methods. In a further session, we will hear how advanced MS techniques have been used to analyze how roasting affects the allergenicity of peanuts and how such research will advance our understanding of how immune responses can become skewed towards allergy. Colgrave ML, et al. (2014) Using mass spectrometry to detect hydrolysed gluten in beer that is responsible for false negatives by ELISA. Journal of Chromatography A 1370, 105-114. Koeberl M, Dean C, Lopata AL. (2014) Next Generation of Food Allergen Quantification Using Mass Spectrometric Systems. Journal of Proteome Research 13, 3499-3509. Moghaddam AE, et al. (2014) Dry roasting enhances peanut-induced allergic sensitization across mucosal and cutaneous routes in mice. Journal of Allergy and Clinical Immunology 134, 1453-1456. Mueller GA, et al. (2013) Identification of Maillard reaction products on peanut allergens that influence binding to the receptor for advanced glycation end products. Allergy 68(12), 1546-1554. Mueller GA, Maleki SJ, Pedersen LC. (2014) The Molecular Basis of Peanut Allergy. Current Allergy and Asthma Reports 14 (5), 429. Real A, et al. (2014) Identification and In Vitro Reactivity of Celiac Immunoactive Peptides in an Apparent Gluten-Free Beer. PLoS One 9(6), e100917. Scherf KA & Poms RE (2015) Recent developments in analytical methods for tracing gluten. Journal of Cereal Science. Tanner GJ, et al. (2013) Measuring hordein (gluten) in beer – a comparison of ELISA and mass spectrometry. PLoS One 8(2), e56452.